McALLEN — Anngie Salinas is a testament to hard work and persistence, as well as the benefits that follow. 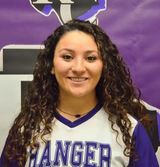 The former Edinburg High all-area and all-district softball star wasn’t on the radar of many recruiters. That’s not too far of a departure from heaps of RGV athletes who aspire to compete collegiately. Salinas had to work to put her name and talents in front of coaches. The catcher played on travel teams like ABC Force Gold and Texas Bombers Futures, and she also attended several camps, she said. One day last year, a coach at a camp who liked the way she played sent her videos to Butler County (Kansas) College head softball coach Doug Chance. He liked what he saw in Salinas, and seemingly just like that she signed on with Butler. The freshman started 28 games this season as part of a powerful 48-4 Grizzlies squad that is the No. 4-ranked Division I JUCO in the nation. Salinas is surrounded by serious talent at Butler, which won the NJCAA national championship in 2016, and this postseason is a series win away from returning to the national championship tournament. Salinas said she misses the RGV living just outside of Wichita, Kansas, but teammates and coaches have accepted her into their ranks, and she feels right at home. Her challenge is on the field, said Salinas, who is batting .288 with one home run, eight doubles and 13 RBIs. She’s struck out just three times in 70 plate appearances. Even at JUCO, getting into the lineup on a national championship caliber team can be difficult. But Salinas has started more than two dozen games, and behind the plate, she’s been nearly flawless. The 5-foot-3, right-handed catcher has committed just one error in 106 chances. Salinas added that she has been motivated by the Grizzlies’ unselfishness and commitment to team play. That will keep her going this summer, as well, as she expects to be back at Butler next year. Butler coaches expect players to periodically send in videos of their summer workouts. Saul Garza continues to impress at Big Spring’s Howard College. 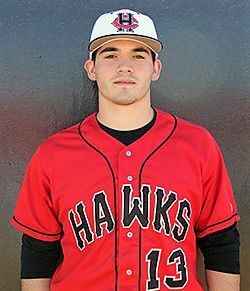 The former all-state and all-area Offensive MVP is batting .400 and ranks first on the Hawks and fifth nationally in home runs with 19, according to the National Junior College Athletic Association. In 40 games played, Garza, a catcher, has notched 51 hits and 61 RBIs — second best at 35-19 Howard College. His slugging average is .900, OBP is .506, and he’s struck out 38 times in 161 plate appearance. The freshman also has six stolen bases. Those are the kind of eye-popping numbers that get the notice of the major leagues and NCAA powerhouses. Garza has committed to play at Louisiana State University. The Tigers have a renowned baseball program that is a fixture at the College World Series. The 6-foot-4, 220-pound Garza and the Hawks have finished the season and are competing in the NJCAA Region V tournament in Grand Prairie this week. 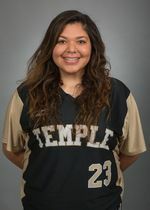 Former Mercedes standout and Temple College pitcher Dalilah Barrera is mowing down the competition. The right-handed sophomore sports a 19-1 record for the Leopards, and her 201 strikeouts on the season are good enough to rank eighth nationally. Barrera, an all-State and all-Valley performer for the Tigers, has a 0.79 ERA, which is fifth-best in the country for DI JUCOs. In November 2017, Barrera signed to play softball for coach Ricci Woodard at Texas State University in San Marcos. The Bobcats are a team on the rise, with a 38-13 record this season and ranked as high as No. 21 in NCAA Division I. The 5-foot-8 Barrera had a terrific season as freshman, going 16-4 with 1.44 ERA and striking out 218 batters. Edcouch-Elsa’s four-year all-district starter Allyson Rodriguez quickly silenced anyone who doubted whether she could play college ball. Rodriguez has burst onto the scene at Ranger College as a one-woman wrecking crew. The freshman is the team leader from the plate, batting .372 with 35 RBIs, 17 doubles and 11 home runs. She has started 52 games for the Rangers and stolen nine bases. Ranger has scuffled this year, going a bleak 12-41, but Rodriguez has been a highlight for the team as it looks to load up on more talent for next season. The Rangers compete in the very tough NJCAA Region V with JUCOs such powers as Midland, Odessa, Temple, Howard, and Cisco, among others. But even with that, Rodriguez held her own, putting up gaudy numbers at the plate (.429 OBP). Former all-state and all-district selection Dylan Dougherty of Hidalgo is beginning to make his mark at Alvin Community College in southeast Texas. The freshman infielder, who has also played in the outfield, is apparently seeing the ball very well, batting .372 with 23 RBIs and 40 runs scored on 45 hits. Dougherty has seen action in 35 games for the JUCO Dolphins. The 5-foot-8, 160-pound Dougherty, who throws left and bats right, has also done well in the field. He’s made an out or an assist on 78 of 89 chances for an .876 fielding percentage. He’s listed as a shortstop but has played multiple positions for the 27-22 Dolphins. One of Dougherty’s teammates is sophomore infielder J.C. Correa, little brother to the Houston Astros’ Carlos Correa. J.C. is batting .391.